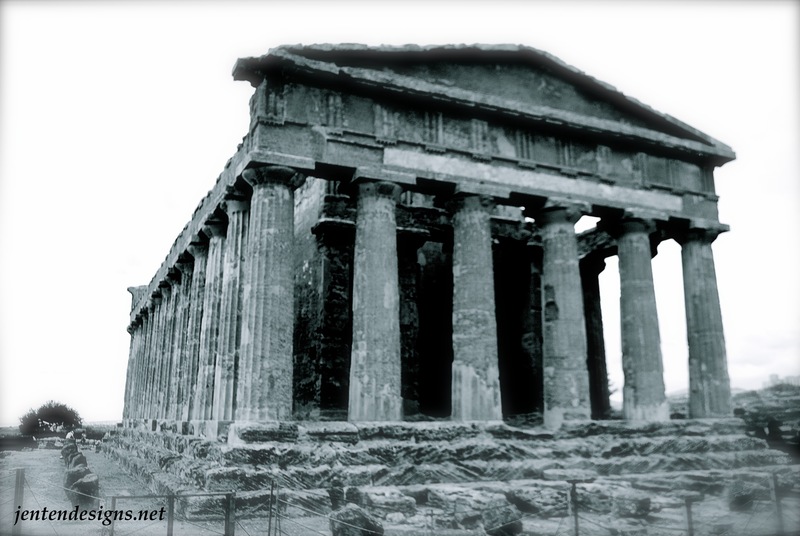 Valle dei Templi (Valley of Temples) – Past the country side, lay perked on a ridge is one of the best preserved evidences of Greek civilizations. The grandeur of temples were built as far back to 5th century BC. After we purchased our 11.00 euro entrance fee, we walked aimlessly in awe along its monuments. Within the preserved archaeological site, we were stunned by its beauty. The views of the sea enwrapped us while the oriented ruins compelled us. Starting from the east and following a line from dawn’s rise, resting the highest is the temple of Gemini, in the middle stands the temple of Concorde (harmony), nearly in whole. 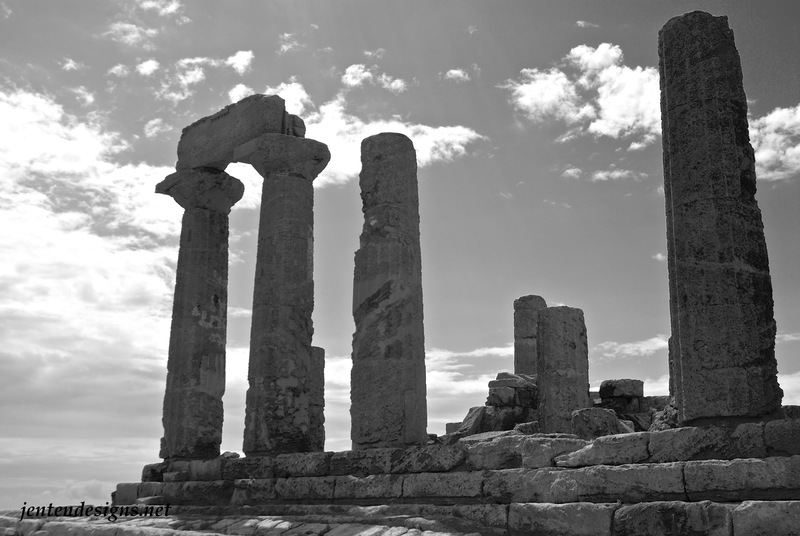 Lastly, the temple of Juno with columns strewn on just one side faces the azul-like sea. Other remains like a never completed temple of Zeus lays in blocks and is only distinguishable by notice of map. Also, you’ll spot a sacred garden, a trail of almond trees and coved water ways. Otherwise remarkable are what follows along the temples are excavated catacombs, alters and areas of sacra-religious practices. I never made it to Agrigento… so bummed! It looks beautiful and I love ruins and their history. Love your pictures, they make me want to jump on a plane! Thanks. 🙂 Where do you reside? I’m willing to visit anywhere. Right now in Vancouver Canada (it’s a pretty spectacular place actually, the whole province is great) and I’m hoping to be moving to Poland next year! Beautiful – I’d love to see those! Thank you for sharing, would love to go there. I also tried taking some b&w photos but they never come out this nice! I wish my travel paths will lead me to Sicily one day. Have you tried using photo editing either on your camera or on a software. I either use the settings on my Nikon or just use iPhoto. I don’t have photoshop but would love to learn to master it. I’m never going to resort to Instagram, I’d like to preserve the sense of photography the old fashioned way. LOL. Wow, technology is coming a long way sooooooo fast!